I'm pleased to announce that I am now represented by Samara Harris Anderson at the Robert A. Freedman Dramatic Agency. I'm very glad to be working with her! I have completed ten full-length plays, now -- including the award-winning "Song of Extinction," the intimate and topical "The Gun Show," and my hot off the press Antarctic epic, "Magellanica." I have scads of short plays, which have been produced around the world. And now I'm writing operas (with some fabulous composers). It's great to have an ally as I work to find homes for all of them! For more information about the Robert A. Freedman Dramatic Agency, click here. A reading of Song of Extinction close to home! "Song of Extinction" is a play about a musically gifted boy who is falling off the edge of the world, and his biology teacher, who reaches out to try to help him. It won the ATCA/Steinberg Award from the American Theater Critics Association, the Ted Schmidt Award from the Los Angeles Drama Critics Circle, the EcoDrama Festival at University of Oregon, the Ashland New Plays Festival, and was production of the year at the LA Weekly Awards. 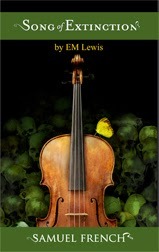 The play is published by Samuel French. I'd love to see you there! Join us! More details on the Theater 33 website. 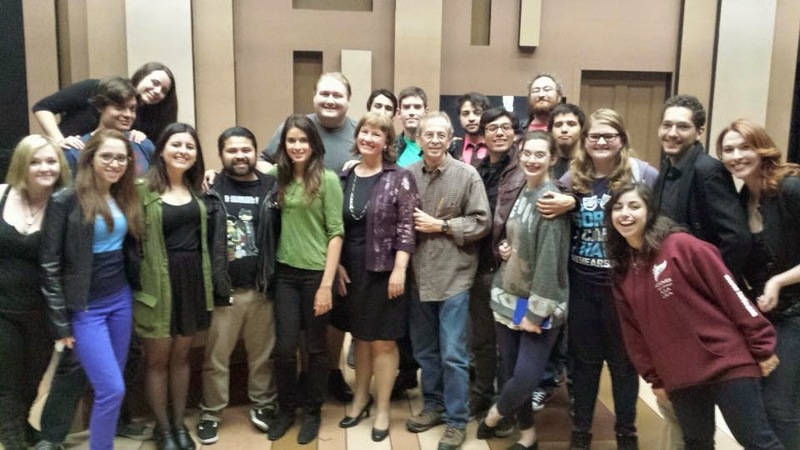 Librettist EM Lewis and Composer Clarice Assad are Arizona Bold! I am pleased to announce that composer Clarice Assad and I are semi-finalists for Arizona Opera's exciting new "Arizona Bold!" program, which is inspiring new operas about the history of the state. 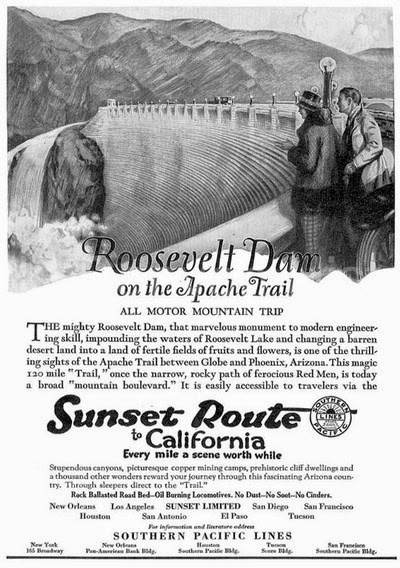 Our project is entitled "The Crossing," and it's about the creation of the Roosevelt Dam. 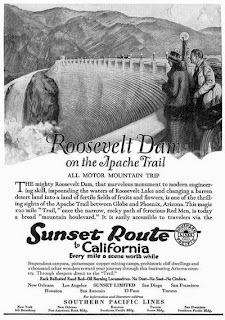 With a diverse cast of stubborn desert farmers, Apache builders, Italian stone masons, the research for this one is proving to be great fun. President Theodore Roosevelt is a major character! Just wait until you hear what Clarice and I come up with. This is a story about nothing less than Building America. As with any history story, it's as much about what's happening now as about what was happening then. Stay tuned! We're working on this through the summer, and hope that our project will move forward in August, but the competition is fierce. More information on the Arizona Bold project and the semi-finalists for it can be found here. 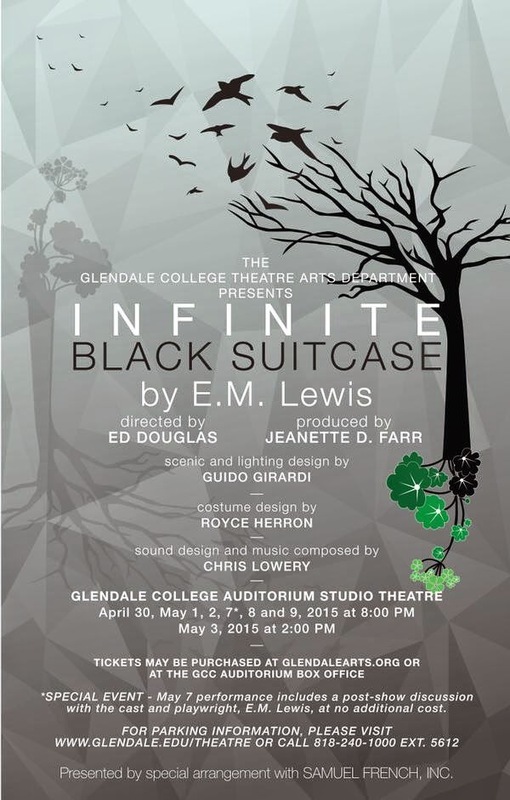 The cast and crew of Infinite Black Suitcase at Glendale College 2015. Playwright E. M. Lewis and director Ed Douglas are in the middle. 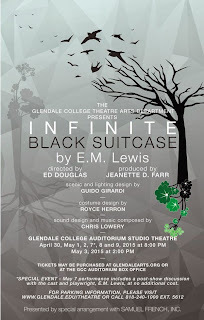 I just returned from a lovely trip to Los Angeles, where I saw Glendale College's production of Infinite Black Suitcase. What a delight! I haven't seen this one in a while, though it's being produced more and more frequently since Samuel French featured it in their online magazine. The actors did a beautiful job, under the astute direction of Ed Douglas. (Look at the size of that cast! Fifteen!!) Producer Jeanette Farr-Harkins moderated the post-show discussion with audience and students. Congratulations to the cast and crew!